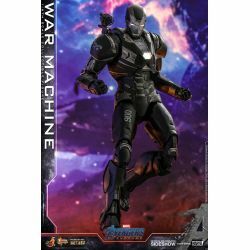 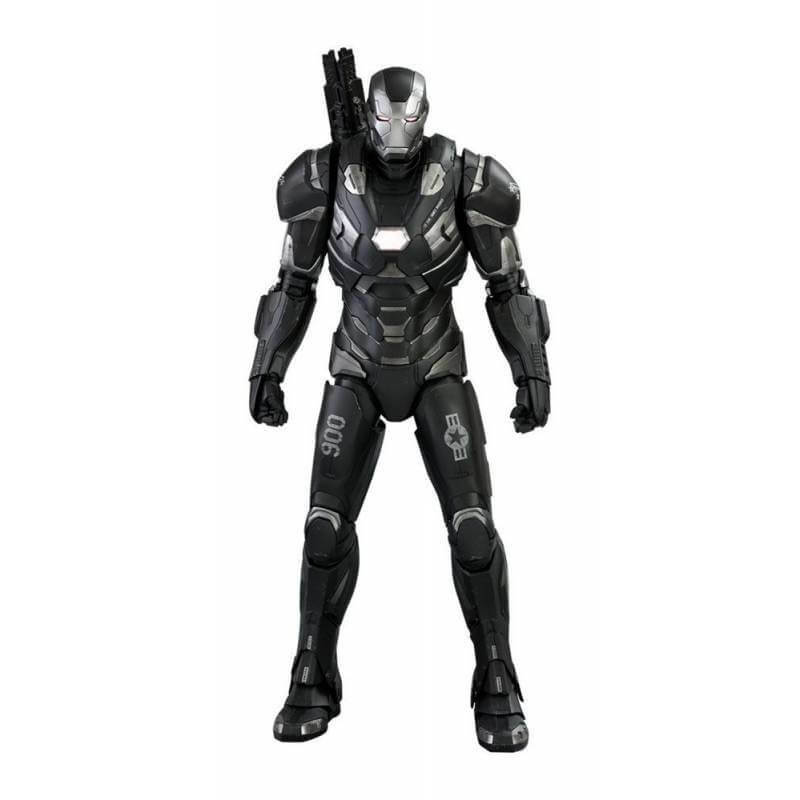 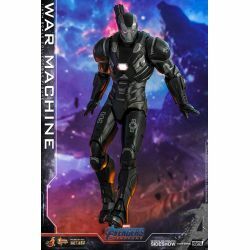 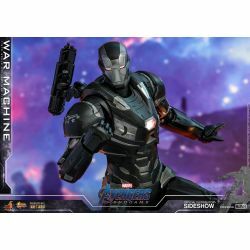 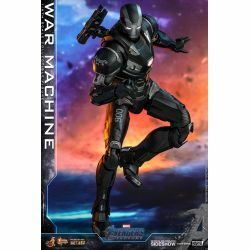 War Machine Hot Toys MMS530D31 : sixth scale Hot Toys collectible action figure of War Machine as seen in the Marvel Comics movie Avengers : Endgame. 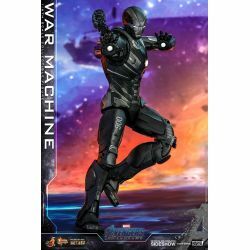 Hot Toys present the War Machine Sixth Scale Collectible Figure from Avengers: Endgame. 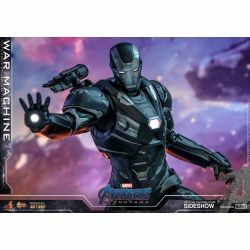 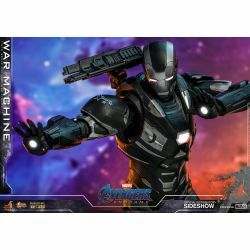 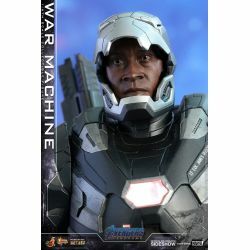 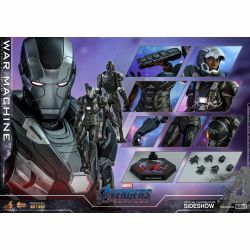 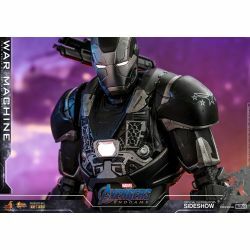 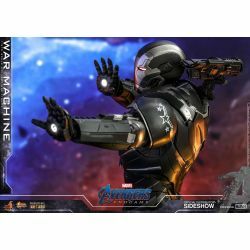 Specially crafted in Diecast material, this true-to-movie collectible figure is beautifully designed with impressive detailing based on the appearance of Don Cheadle as James Rhodes War Machine in Avengers: Endgame. 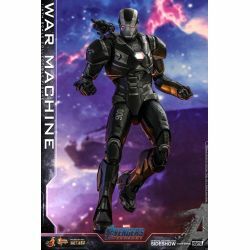 The weaponized War Machine figure with highly noticeable visual upgrade features a newly painted helmeted head sculpt and a helmet head with LED light-up function, armor suits painted in grayish black and silver with white decals, LED light-up Arc Reactor on chest and repuslors on palms, an articulated back-mounted machine gun, and a specially designed movie themed figure stand ! 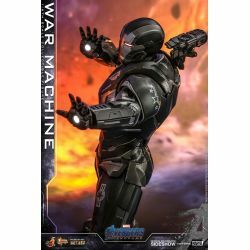 Defend the Earth from world conqueror Thanos with the newest War Machine armor ! 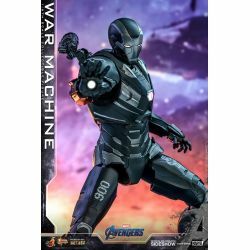 What's in the box of War Machine Hot Toys MMS530D31 ?